Need a Product Liability Attorney CT? If you or a loved one suffers from an injury caused by a defective product in Connecticut the experienced lawyers at Jazlowiecki & Jazlowiecki Law will aggressively pursue your product liability case to get you the highest possible settlement. According the U. S. Consumer Product Safety Commission (CPSC) there are more than 22,000 deaths associated with defective products in the U. S. each year. Defective products cause more than $500 billion in property damage and thousands of deaths and injuries each year in the U. S. Product Liability victims deserve to be compensated for their injuries by those who are responsible. If you have a loved one who has been the victim of a Product Liability, contact us. 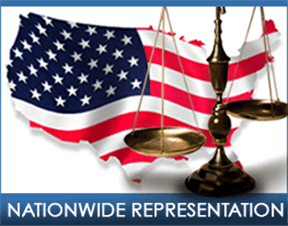 We are available for Product Liability investigations and litigation throughout the United States. Each year, more than 30 million injuries are associated with defective products. (The U.S. Consumer Product Safety Commission (CPSC). Each year, defective toys cause more than 220,000 injuries to children in the United States. Each year, about 7% of all personal injury lawsuits are defective product liability cases. Each year, The U.S. Consumer Product Safety Commission recalls between 200-300 defective products. There were more than 200,000 emergency room visits in 2002 from defective products. (Consumer Product Safety Commission).